Soul & Motown is a musical genre that I was raised with since being in the womb, and one that has stayed with me throughout the years… it has the power the shift moods, change lives and tell normal life stories through a stunning blend of sensational sounds and vocals. It’s significant and unexpected rise in the sixties still remains in the hearts of all today, to be enjoyed forever. Towards the end of 2014, I was approached by the manager of the Soul & Motown tribute band ‘The Shadows of Motown’ Charlie May, who kindly offered me a fabulous opportunity of joining her and another lady as lead singers to front the boys who play the live instruments for the band as sometimes she needs 3 lead singers as opposed to just her. I was astounded and excited as within my previous experiences of performing I had always used backing tracks; never live music. Naturally I jumped at the chance and started to learnt the two 45 minute sets for the show, along with any choreography. Very quickly our 1st rehearsal as a band came up when I met everyone for the 1st time. Everyone was sooo nice and got on really well together as a team. I find musicians down to earth and cool anyways so I wasn’t expecting anything else. The ladies, well what can I say, I rarely seldom have female friends…which is a trait we all had in common, but these 2 girls are completely on my wave length, funny and smart. We all got on so well like sisters! We have so much fun and work really well together – on and off stage! I find Charlie & Keri both talented, inspiring, individuals who reach for the stars and follow their dreams…again similar to myself. 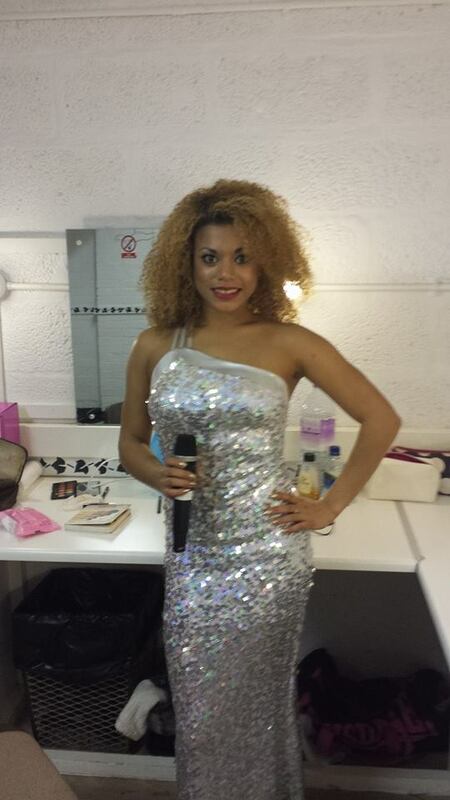 Charlie is busy touring with her band as a solo artist and recording in her studio in between gigs and Keri tours as a Tina Turner and Rihanna tribute act, also recording at the studio in between. The girls have inspired me to think about doing a tribute act or two of my own… can you guess who they could be?? We have worked the show several times now and they have been a great success! Please take a moment to view a little footage of our last show at ‘The Strode Theatre’ in Somerset on the link below. I absolutely love being on stage singing and dancing, it is where I belong. I cannot wait for the next gig with the band and to start making plans and investments for my tribute ideas of the future.